Crocker Park is pleased to announce their partnership with proximity-based marketing provider, We Build Apps (WBA), to provide accessible center wide Wi-Fi connection services as well as convenient tools for each visitor to shop, dine and visit the property with ease. We Build Apps’ model of proximity marketing integrates social media with each visitor’s Wi-Fi connectivity. Guests are invited to sign in via their social media accounts with simple directions, giving them access to enjoy complimentary Wi-Fi while shopping and dining around Crocker Park and The Promenade. With Crocker Park’s unique, vertically-integrated layout, We Build Apps constructed “access points” around the 120-acre center to rid the need for wires and instead extend the Wi-Fi range. Now installed, visitors can simply connect and sign on to while at Crocker Park to enjoy free Wi-Fi as well as other benefits- real-time phone notifications including relevant promotions from businesses on property, interactive navigation map and emergency alerts. 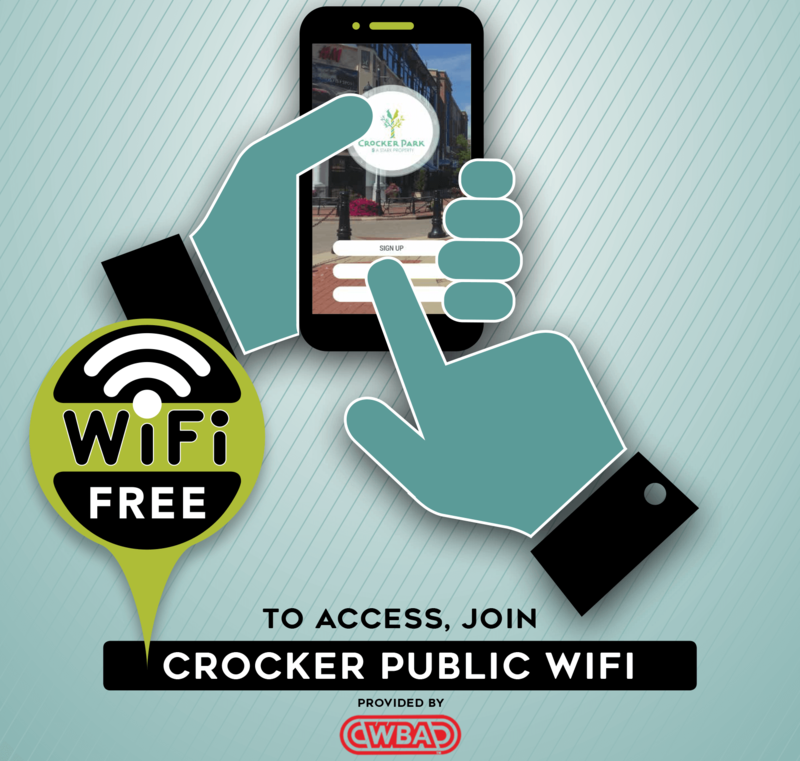 Crocker Public Wi-Fi is currently up and running for visitors to enjoy while shopping, dining and playing at Crocker Park. For more information on We Build Apps, visit webuildappsllc.com and to plan your next visit to Crocker Park, visit crockerpark.com.